I love good focaccia bread. There is something about the dimples in the dough, or maybe it's the olive oil and salt and other goodies that fill the dimples. That' s probably it. Still having a lot of fun playing with the sourdough. I used a simple topping of good olive oil, sea salt, and some rosemary. You can serve this with soup, or slice it in half and use it to make sandwiches, or even just snack on it...the latter is what happened to a lot of this pan of focaccia. It goes together easily. I boosted the yeastiness with a little active dry yeast, but next time I think I'll skip that. In the bowl of a stand mixer place the sourdough starter. Add 3 tablespoons of the olive oil and mix briefly with the paddle attachment just until the oil is mixed in. Make sure the water is lukewarm. Take 1/4 cup of it and add the dry yeast. Let sit 5 minutes until foamy. Add the yeast, the rest of the warm water, and about half the flour. Mix with the paddle. Switch to the dough hook. On slow speed add the flour, a half cup or so at a time, adding only a few tablespoons at a time toward the end. The dough will be soft. Add the salt and then knead with the dough hook on low to medium low speed for about 6 minutes, until the dough cleans the sides of the bowl and is smooth. 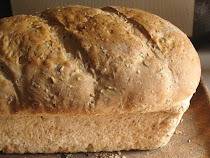 Turn out on a lightly floured board or counter and knead in most of the rosemary, leaving about a teaspoon for the top. Form the dough into a ball. Oil a large bowl (not metal) and turn the dough ball in the oil to coat. Cover with plastic wrap and place in a warm place and let rise until doubled in bulk. It took mine four hours, but even my 'warm' place wasn't as warm as it should have been. Punch dough down, turn out of the bowl onto a lightly floured surface, knead a few time to get rid of the extra trapped gas. (I should had done a little more of this...I had some whopper air bubbles in the finished focaccia.) Oil a large baking sheet and spread the dough out in the pan. 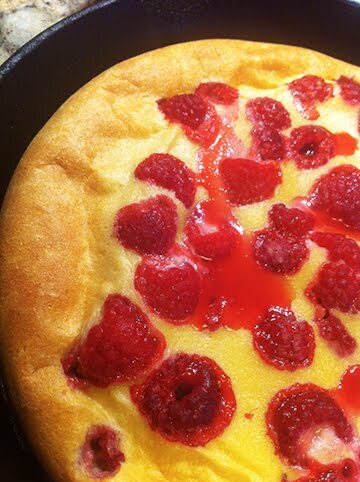 I pushed it with my fingers, pushing it into one corner, then another, then the other side of the pan. Dimple all over with your finger tips. Drizzle the remaining tablespoon of olive oil over the dough, sprinkle with the remaining rosemary, and sprinkle liberally with more sea salt...to taste. Cover with plastic wrap and let rise at room temperature for 15 minutes. Bake in a preheated 400 degree F oven for about 15 - 20 minutes, until top is golden. Cool slightly on a rack, then turn out onto a cutting board and cut into serving sized pieces. Can be eaten warm or cold. I'm submitting this focaccia to Susan at Wild Yeast for the latest YeastSpotting event. 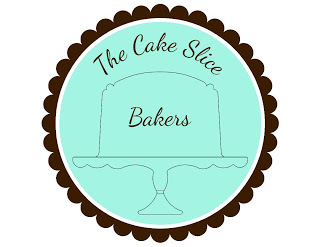 Do check out the roundups...they always have yummy recipes using yeast or yeasted dough. I love focciccia too. 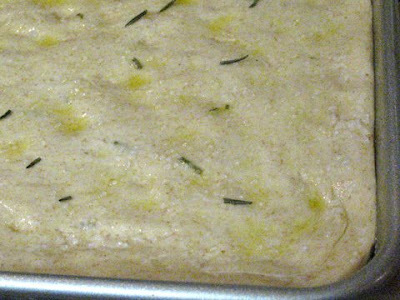 Sourdough foccaccia is a great idea. 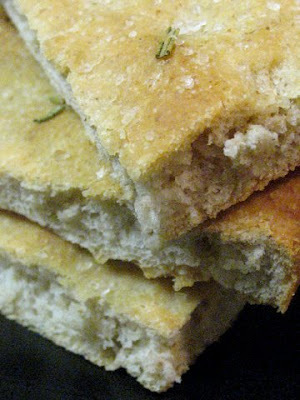 Focaccia - I always swoon for focaccia. Rosemary and salt maybe the simplest of toppings but I think they're classic and the best! 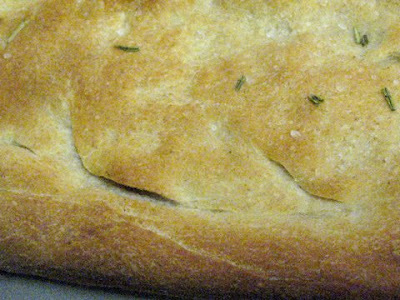 Do you suppose that could be because the first time I had focaccia was in Porto Fino at an open air market along the warf and it was topped with, of course, rosemary and salt! Oh, yum. For some reason I'm all about flatbread and crackers at the moment! This looks really tasty!! This sounds great. 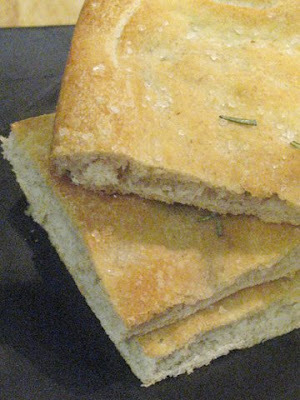 I make focaccia with rosemary often, but never tried it with sourdough. I may have to give it a try! Warm and savory is just the best description! I love that flaky salt too. KJ, Any focaccia is great! Tanna, I'm envious! First time I had it was at a party...and not even a particularly interesting party...except for the food. Clever Karen, Yes, the sourdough adds a nice tang. Susan, Yes, that sea salt make the focaccia even better. I don't think I have made sourdough foccaccia, it sounds lovely. 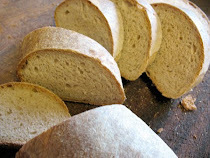 I think focaccia is one of my favorites - I bet this sourdough version is delicious! Lovely focaccia! And sourdough to boot. I share your love of focaccia and sourdough takes it to another level. 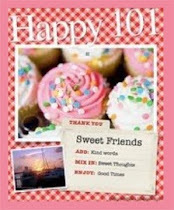 I also love the flaky salt you use.